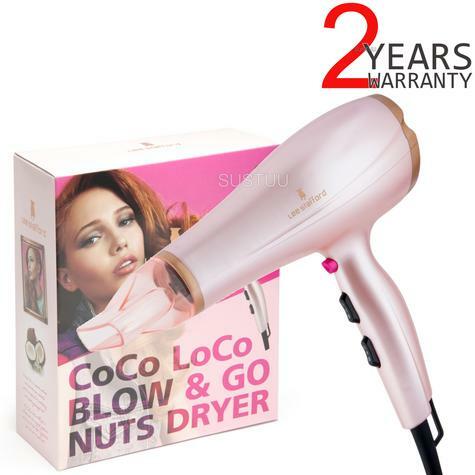 Give your hair stunning care with this stunning Pink and Rose Gold Coco Loco Blow &amp; Go Nuts Hair Dryer. 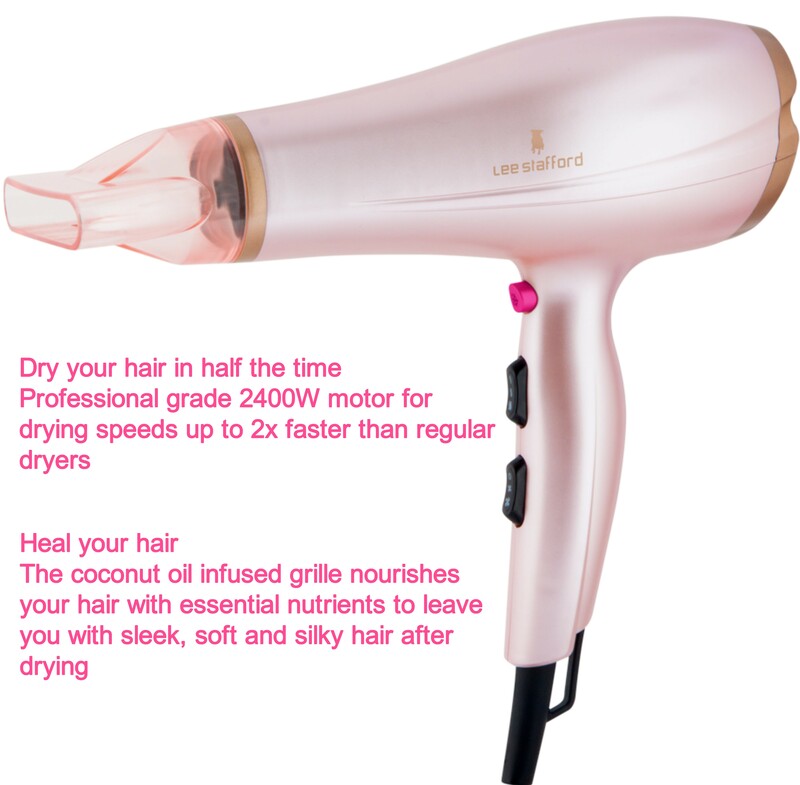 Coconut Oil Infused Grille Using its power 2400W Motor, 2 speed setting as well as 3 heat settings you can treat your hair to a tougher drying while the coconut oil infused grille giving your hair a natural nutrient boost when it needs it most. 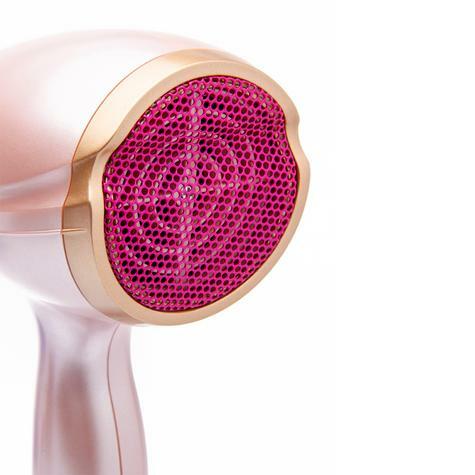 Includes a Concentrator and Cool shot setting to deliver the right temperature of air just to the right spots you need it. 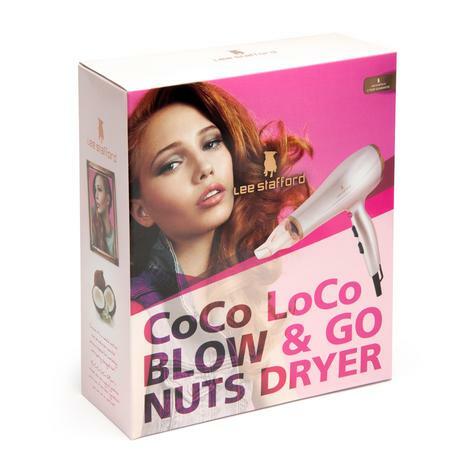 Dry your hair in half the time with the Lee Stafford CoCo Loco Blow & Go Nuts Dryer. 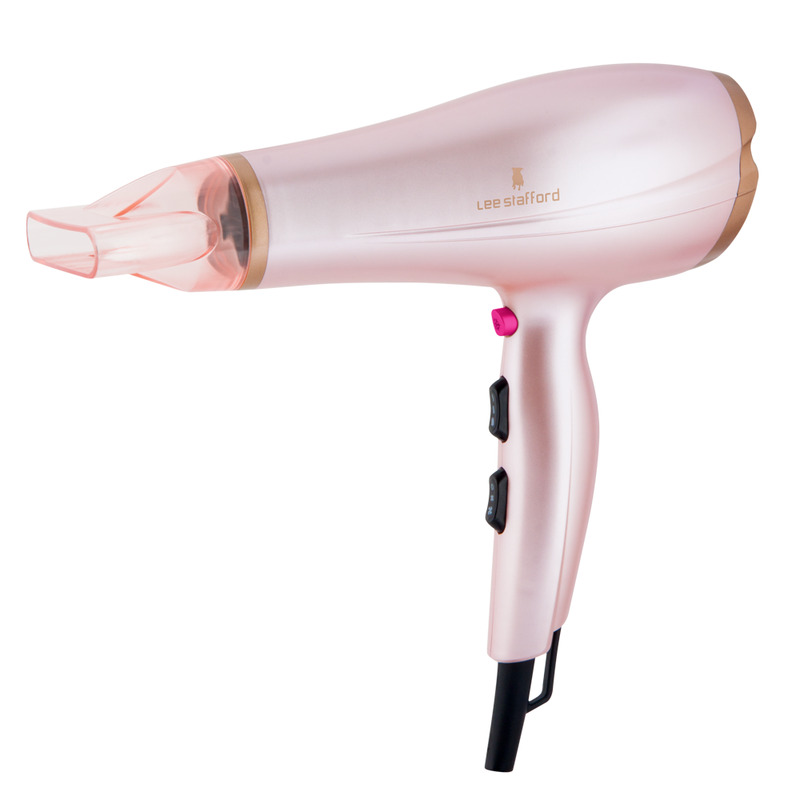 A professional grade 2400W motor dries your hair up to 2x faster than regular hair dryers. The grille is infused with coconut oil to heal your hair with essential oils and nourishing proteins. Giving you the soft smooth glossy hair you’ve been craving. No more dryers that leave you with damaged hair. Lightweight for effortless movement while drying and a comfort handle that’s easy on your hands and wrists. 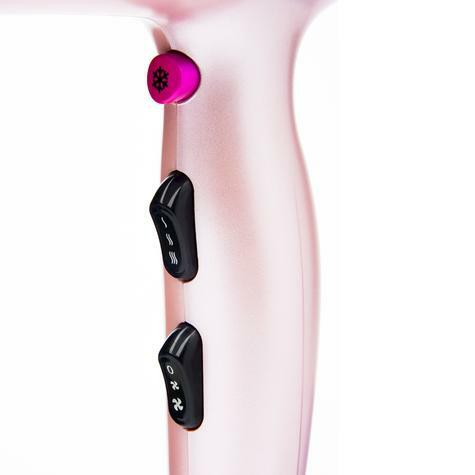 3 heat settings and multiple speeds allow for precision drying and styling whatever your hair type, as well as a cool shot setting for finishing your hair. The dryer also includes concentrator nozzle. Simple to clean with a removable rear grille. The stunning Pale Pink and Rose Gold colours make this a stylish gift for the beautiful woman in your life.